Dress up your coffee with our personalized paper coffee cups! What better way to fancy up your morning Hustle. 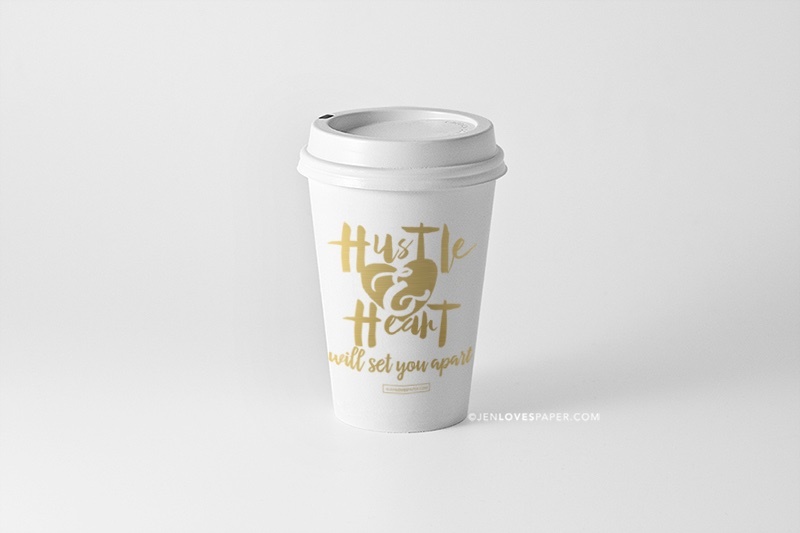 Choose from our "Hustle & Heart" cups or order your own custom cups.